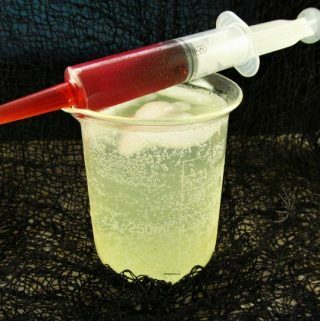 This Vodka Collins Vampire Cocktail is a fun Halloween inspired vampire drink. It’s similar to a Tom Collins vodka but topped with grenadine. This post contains affiliate links which means if you purchase we might receive a small commission at no additional cost to you. 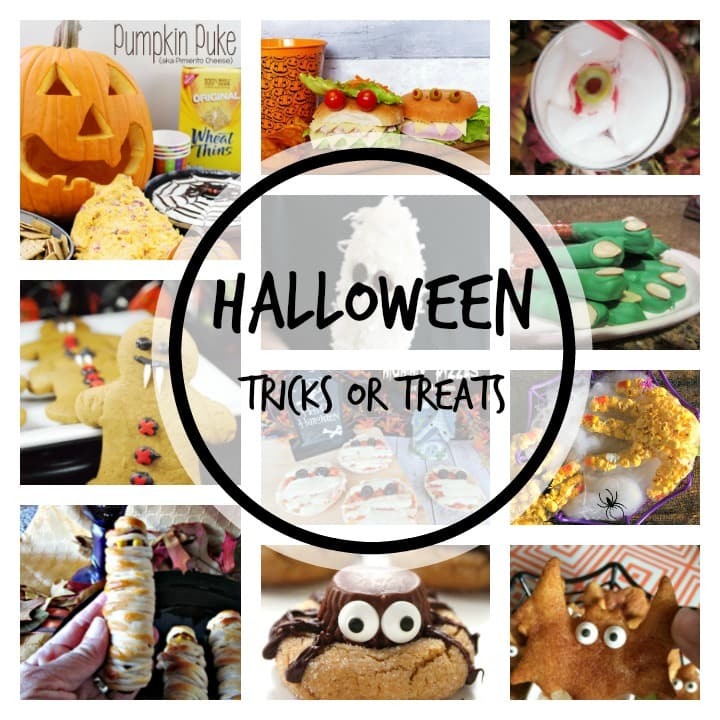 Halloween is a fun time for kids but it also can be a blast for adults. Even as we get older we enjoy dressing up and taking on a different personality or character. And as it goes, you must have the proper props for this season. 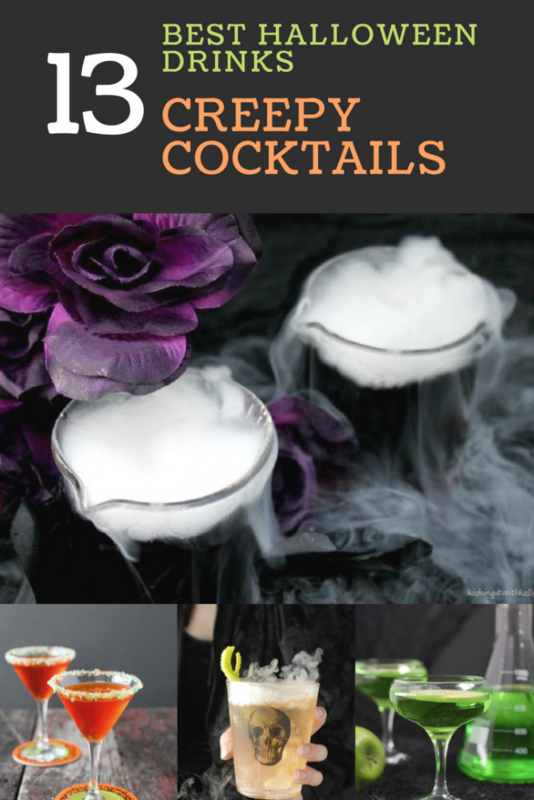 We also like to enjoy a few special Halloween snacks and also these Halloween beverages or Creepy Cocktails. Today we have gone over the edge and created a vodka collins vampire cocktail. We used our tom collins vodka recipe and added a little creepy ingredient, blood. Not real blood but grenadine. And we had to bring up the creep factor by serving our vampire cocktail in a bleaker glass with the grenadine in a syringe. 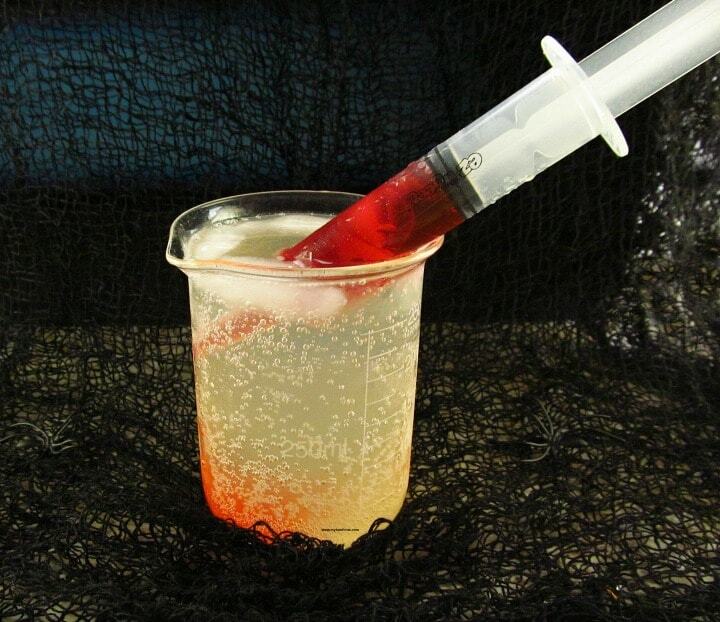 This Vampire Cocktail is made with vodka, sweet and sour mix, club soda and of course the bloody shot of grenadine. A regular Tom Collins can be mixed almost the same way except gin is used instead of the vodka. We serve this Vampire Cocktail with the shot on top or inside the drink. And we will leave it up to the guests to add more or less of it. 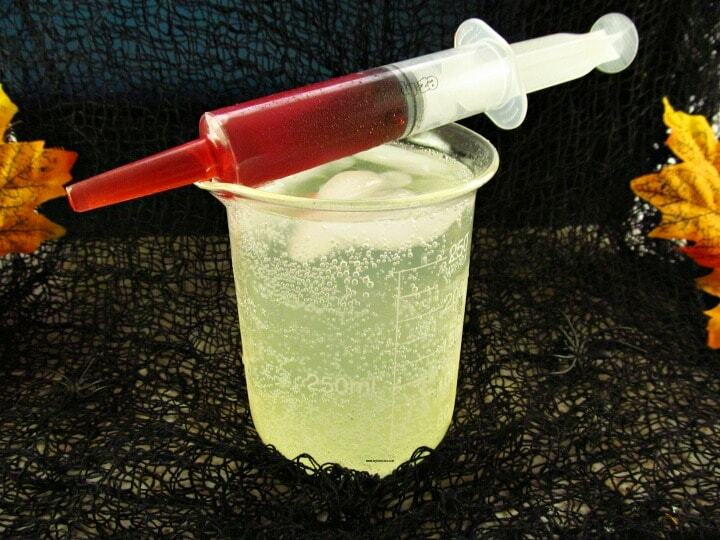 You can find these cool bleaker glasses and jello shot syringes on Amazon. Also, this Vampire Cocktail could be made a little stronger by adjusting the strength of the vodka to your own taste. There is nothing wrong with adding an extra shot or two of vodka, we don’t judge. 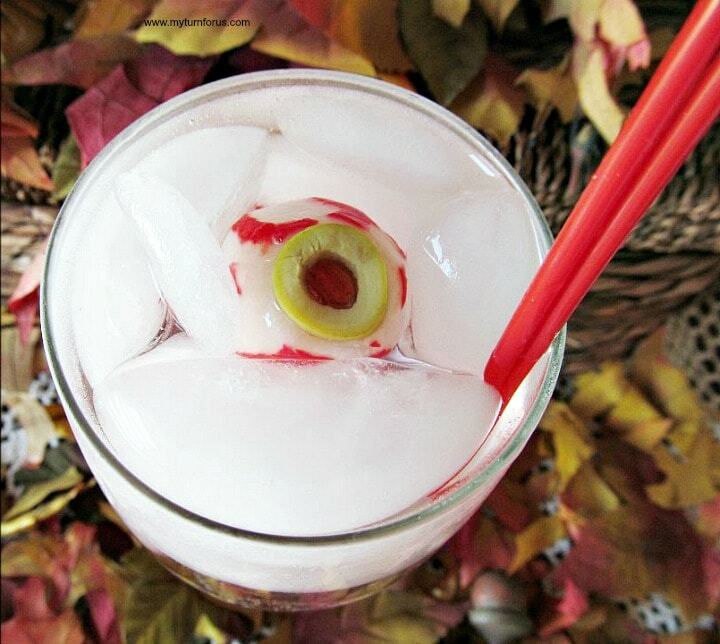 Vodka Collins with a shot of grenadine and served in a fun creepy way. Add ice cubes to the Beverage Bleaker, add vodka, sweet and sour mix over ice. Or add ice, vodka and sweet and sour mix to a cocktail shaker, shake then pour using the strainer over ice in the bleaker. 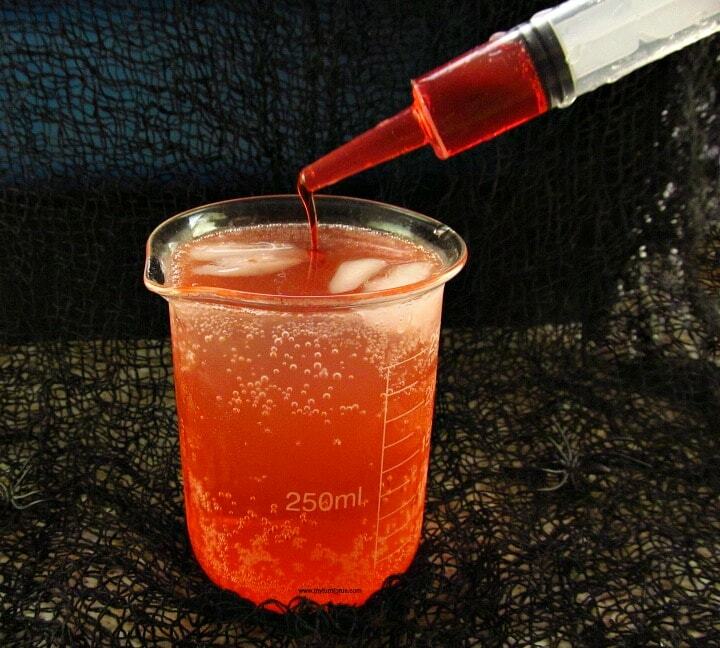 Fill the jello shot syringe with grenadine. Place inside or on top of the tom collins cocktail. Guests can add the bloody shot of grenadine before drinking.